I wrote a poem for David at our wedding in Montana three years ago. 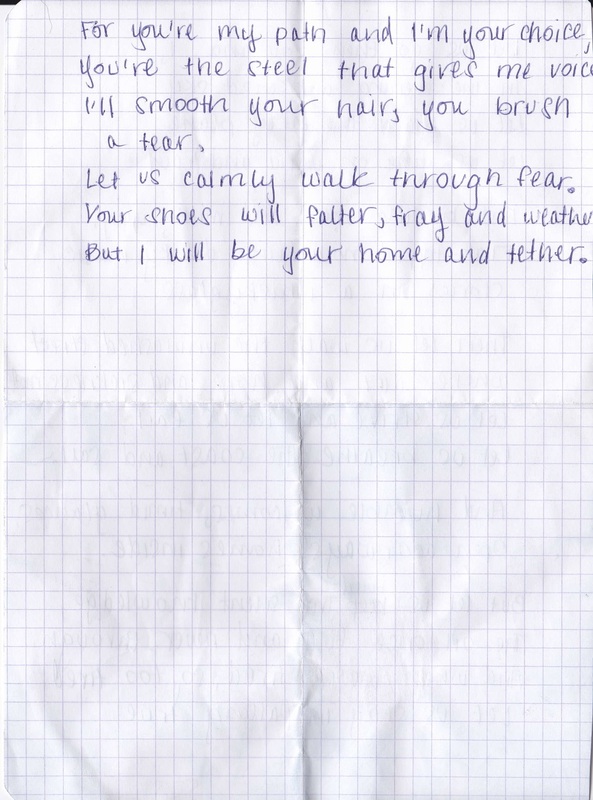 It became a set of wedding vows for our lives as travelers. 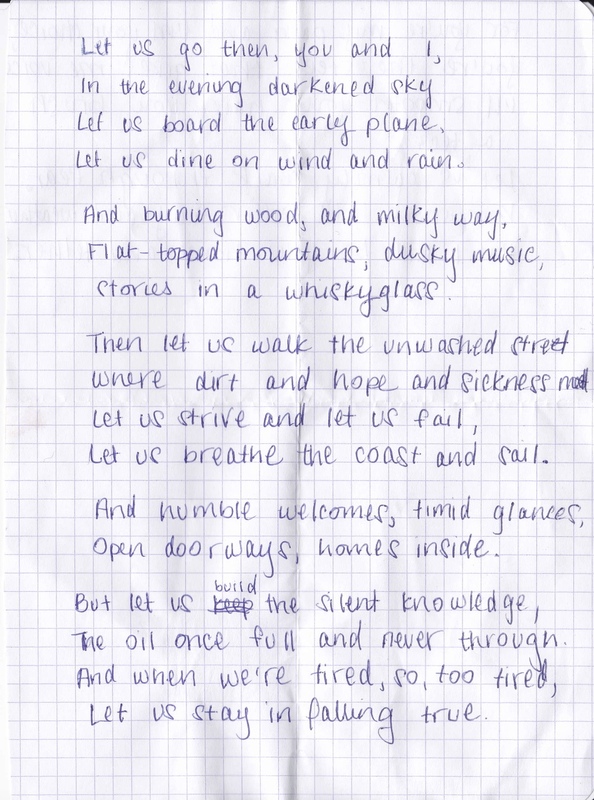 It’s not a work of art but I’m proud of it–as far as the poem represents our vows, we’ve kept them. Everything at that wedding was rimmed in magic. A vintage blue haze covered the lake and the mountains, and every hour was the golden hour. Glass tinkled and light shone between the birch trees like we were all actors in an old movie. When the wedding was over and it was just David and I at the lake, I felt something large, looming just out of sight. I didn’t know what it was, but I knew something was coming. If I really wanted to know, I had only to reread the poem. Let this year be a year of breathing new life into the vows we’ve made to ourselves and our partners. Happy Valentines’ Day! Does the first line sound familiar? I stole it from one of my favorite poems, The Love Song of J. Alfred Prufrock by T.S. Eliot.